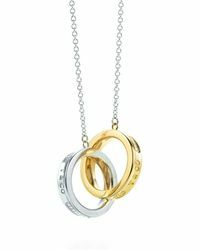 £380 From Tiffany & Co. 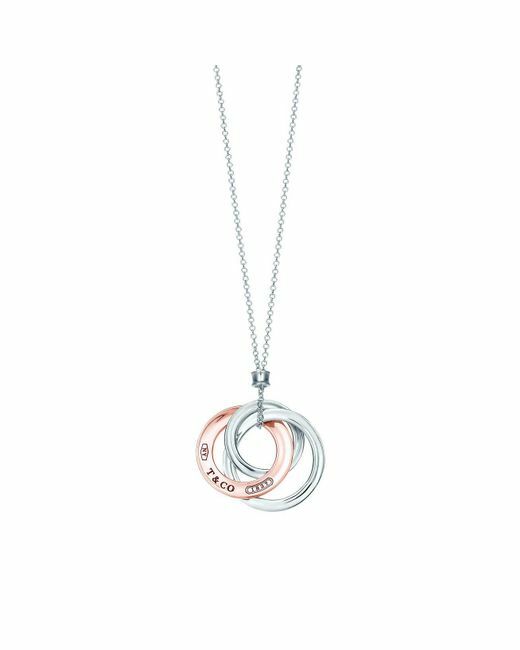 Proudly inscribed with the year Tiffany was founded, the Tiffany 1837TM collection is defined by sleek curves and contours. 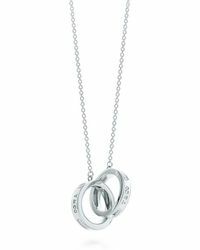 A duo of interlocking circles adds a modern touch to this pendant. 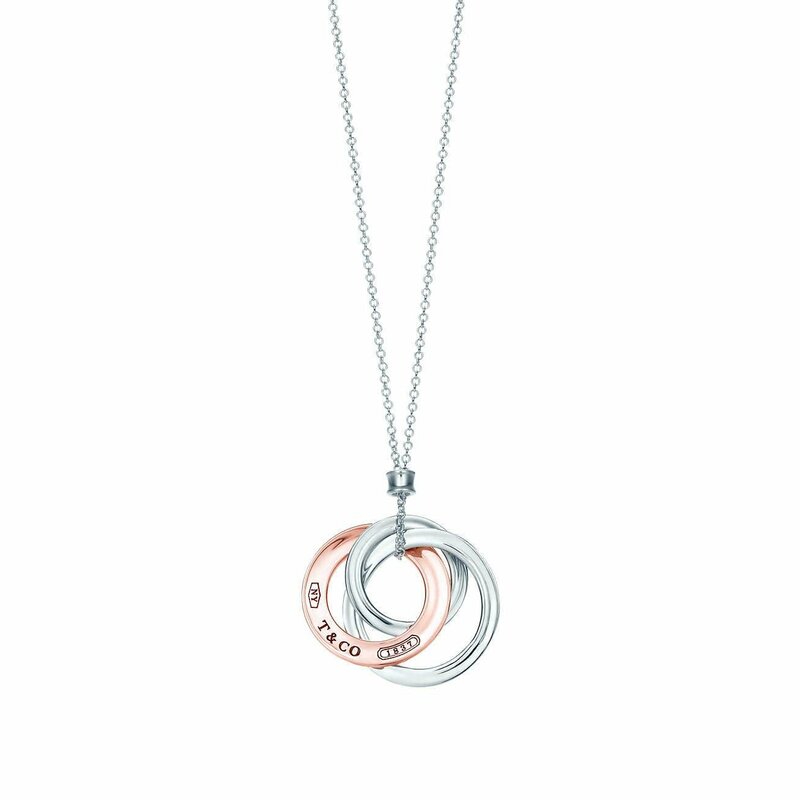 Rubedo® metal and sterling silver;Size small;On an 18" chain;Developed in honour of Tiffany's 175th anniversary, Rubedo® metal glows with a delicate, rosy luminescence inspired by the light of dawn. Turquoise Beaded Pendant Necklace, 24"